When I was living in Paris years ago, I had the great fortune to live in a lovely area not generally frequented by tourists. Even today, it is still off the beaten circuits. I loved this tranquil and refined little haven called Auteuil – a pleasing village by the River Seine. 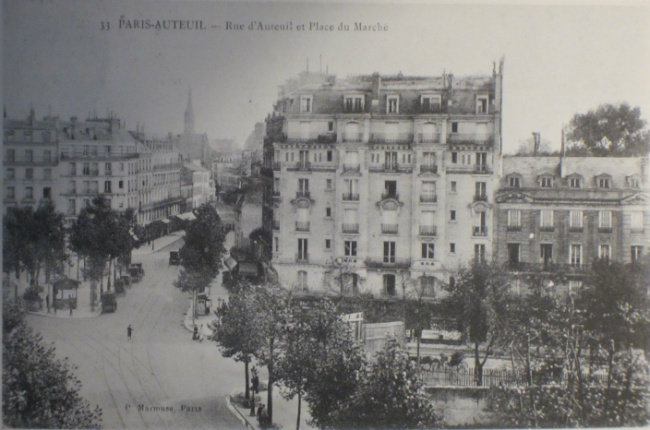 In 1860, as part of Haussmann’s grand redevelopment plan, Auteuil was incorporated into the 16th arrondissement and soon acquired, and retained, the reputation as an area where the nouveau riche bourgeoisie like to live. 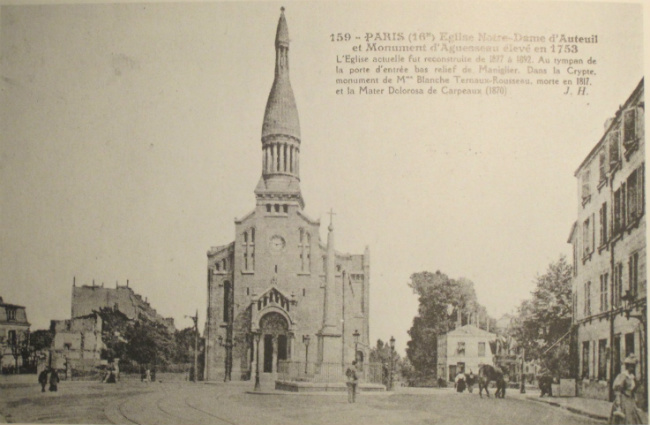 Nevertheless, the little commune continued to retain its country character where life centered around Le Clocher du Village (the village bell tower). Auteuil’s origins actually date back to the early 12th century when it was part of the feudal domain of the Abbaye de Sainte-Geneviève. Auteuil abolished serfdom in 1247, about a century before the neighboring parishes, and in the 16th century became a refuge for Protestants escaping the infamous St. Bartholomew’s Day massacres. After the revolution in the 18th century, Auteuil became a commune. It was in the 17th century, however, that the pastoral atmosphere of Auteuil appealed to the upper classes in search of a reposing, healthful retreat. Soon Auteuil became home to some of the world’s most fascinating and illustrious literary and stage personalities – along with a mix of aristocrats and diplomats. Auteuil gained the additional reputation as a health center in the 1800s when therapeutic mineral springs were discovered. Several medical clinics sprouted up but they no longer exist. The most famous resident of Auteuil was Jean-Baptiste Poquelin (better known as Molière, 1622-1673), father of the classical French play, La Comédie Française. His country home was at #2 rue d’Auteuil. Molière and many of his companions in the arts enjoyed gathering at an inn to eat and have stimulating discussions on the latest artistic currents and topics of the day. This took place at L’Auberge du Mouton Blanc, #40 rue d’Auteuil, one of the oldest restaurants in Paris. Some of the people Molière shared company with are famous literary personalities like playwright Jean Racine and poet-critic Nicolas Boileau. Among the independent ladies were the writers and progressive thinkers Madeleine de Scudéry, Ninon de Lenclos and the prominent tragic actress, Marie Champmeslé (who died in Auteuil). 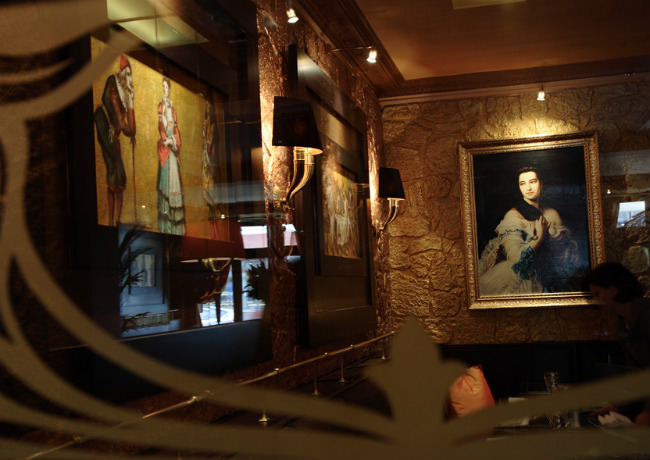 Should you decide to dine at Le Mouton Blanc, you may feel the lingering presence of this group as their portraits hang on the walls looking over the diners. Between 1784-1785, two future U.S. Presidents – John Adams and his son, John Quincy Adams – resided at #43-47 rue d’Auteuil in a house named Hôtel Antier that had been built for a renowned baroque opera singer, Marie Antier. The Adams family lived in Auteuil while John Adams negotiated treaties between France and the U.S. Colonies. Adams’ compatriot, Benjamin Franklin, and a very popular personality in French society, lived in nearby Passy, within walking distance to Auteuil. Adams and Franklin may have been born only 12 miles apart sharing similar backgrounds, but they were complete opposites when it came to style and outlook. 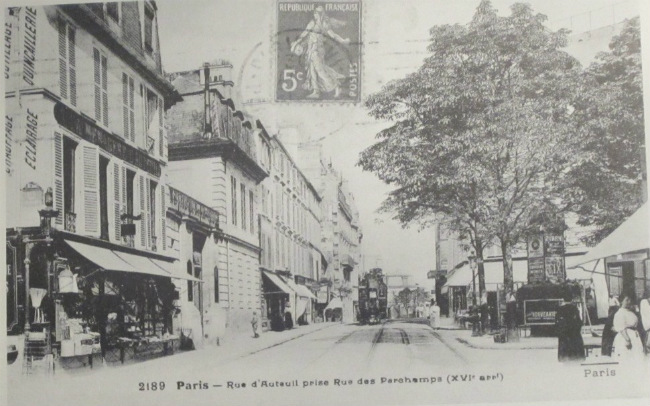 During Franklin’s nine-year stay in Paris he could be seen on most Wednesday and Saturday afternoons at #59 rue d’Auteuil attending the reputed drawing-room parties (salons) of the elegant and aristocratic socialite-hostess, Mme. 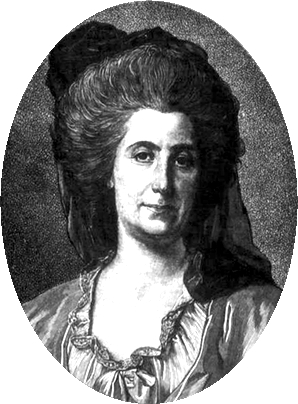 Anne-Catherine de Ligniville-Helvétius, widow of a distinguished academic. His visits, in fact, were so frequent that a permanent place at the table was always set for him. He was smitten with Madame’s refined charms, but so were many others. It was not the matron’s physical attraction so much as how she engaged people with her warmth, intellect and wit. Eventually, the widowed Franklin would propose marriage to Madame, but she preferred to remain independent. It’s easy to see why Tout-Paris eagerly flocked to Madame’s delightful afternoon salons called L’Académie d’Auteuil. Hers was one of the best salons of Paris. They loved the country atmosphere and Madame’s relaxed, informal style. Around the table they engaged in lively discussions as well as flirtations – like coquettish little fights over cream – while a menagerie of 18 ribboned angora cats, canaries, two coiffed lap dogs and assorted chickens, pigeons and other animals wandered in, out and around the house. 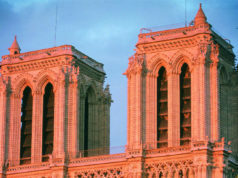 Madame’s friends called her “Minette.” Franklin called her Notre-Dame d’Auteuil. One neighbor, and occasional guest, was not so impressed by Notre-Dame d’Auteuil, and that was the straight-laced American, Abigail Adams (wife of John). Abigail found Madame’s behavior “shocking” as she witnessed her greeting Ben Franklin warmly with kisses on each cheek and the forehead. Abigail looked disapprovingly as “that bad woman” would sometimes warmly fling an arm around him. The Bonaparte family was also on the guest roster. Of course. One of them, Prince Pierre Bonaparte, even lived at #59 for a while. Napoléon Bonaparte, himself, was a guest at Madam’s salons on at least three occasions between 1798 and 1799. He complained that the property felt too “narrow.” Of course. Madame Helvétius bought the three-acre property at #59 after she was widowed. It already had a long history. The previous owner was none other than Maurice Quentin de la Tour, the famous rococo court portraitist. The original house is long gone and a modern apartment building erected in its place that, as things turned out, became my address for a few years. Another engrossing Auteuil resident was the American-born British loyalist, Benjamin Thompson Count of Rumford (1753-1814), a contemporary of Benjamin Franklin. (In Franc,e Franklin was known as “chief of the rebels”). Thompson was a physicist/inventor, Harvard graduate and British military officer who opposed the “rebels.” After an attack on his home in New Hampshire, he had to leave town in a hurry leaving behind his rich and well-connected wife and an infant daughter. For Thompson’s scientific achievements in thermodynamics, however, he received many honors and distinctions on both sides of the Atlantic. Thompson went on to Germany where he spent several years doing remarkable humanitarian work with his inventions. That somehow evolved into reorganizing the Bavarian army, which led to him being appointed Minister of the Army. 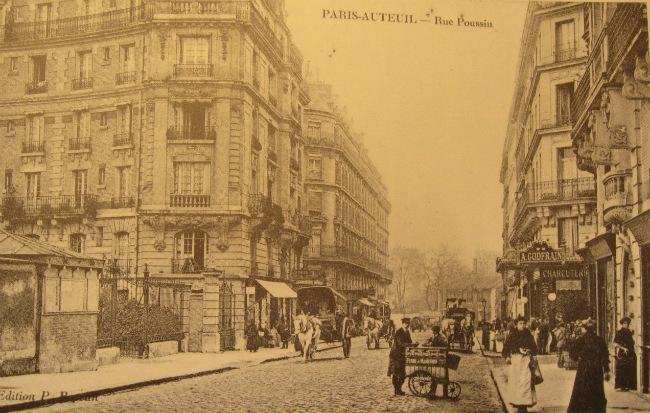 Eventually, he settled in Paris at #59 rue d’Auteuil where he lived until his death. (I wonder what Benjamin Franklin would have thought about that.) Thompson purchased this property upon the death of Mme. Helvétius. Both are buried in Auteuil. As for France’s great 19th century personalities, Honoré de Balzac lived in Auteuil for a time (his museum is in Passy) and Marcel Proust spent a lot of time in Auteuil, at the home of his uncle. 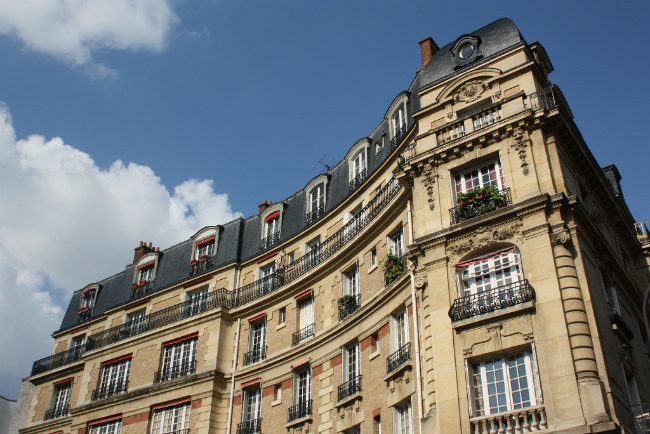 On Rue Poussin, a small street parallel to the main street, rue d’Auteuil, you will see a gated residential complex dating from 1860 called Villa Montmorency, formerly a grand, aristocratic estate. Some things don’t change much and, as in former times, this address today is home to some of France’s most prominent citizens. A little walking excursion around the peaceful, leafy neighborhoods of Auteuil really makes you feel like you’re a part of the local scene. Specialty shops and businesses line rue d’Auteuil, and a weekly market takes place at the square on Wednesday and Saturday mornings as it has for generations. (I can see a frustrated Abigail Adams trying to negotiate with the market vendors.) 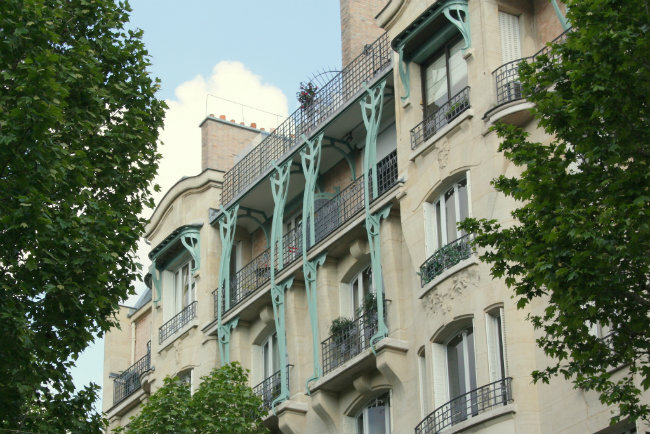 Some fine architectural examples of Art Nouveau and Art Deco can be spotted on side streets. 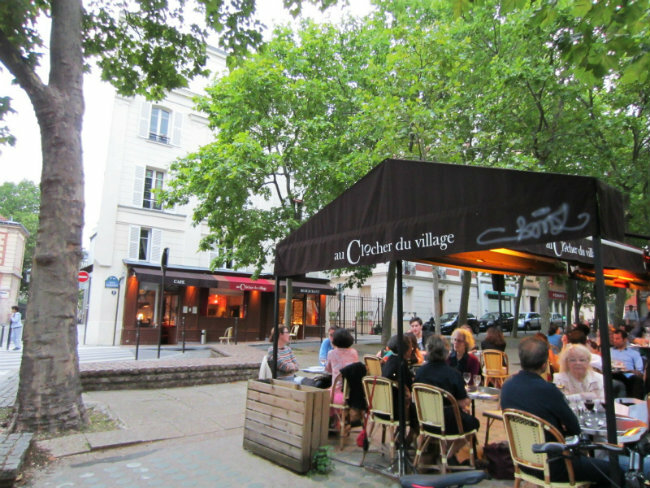 To end your Auteuil detour why not have a drink or a meal at one of the many neighborhood restaurants. 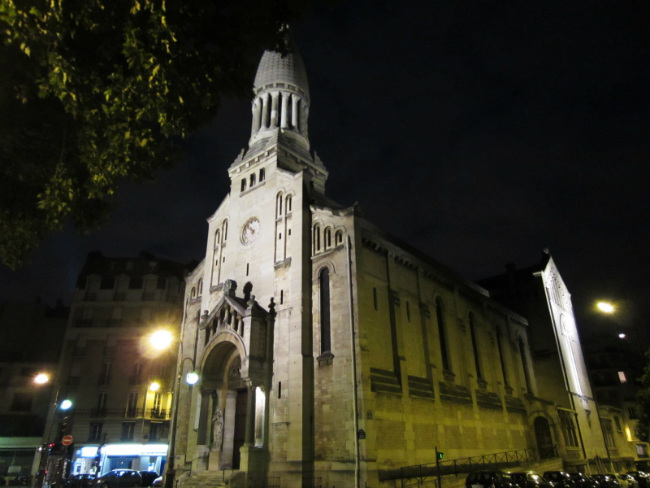 Then, finish off your day or evening with a promenade past the Église d’Auteuil down to the river towards Pont Mirabeau for great views. 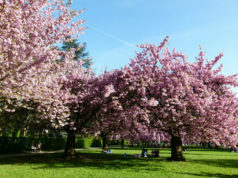 Or, you could start your Auteuil excursion with a walk in the opposite direction towards the Bois de Boulogne and visit the magnificent and historical botanical gardens and hothouses, Les Jardins des Serres d’Auteuil. Getting to Auteuil is easy on the metro. The stop is Michel-Ange d’Auteuil (line 9). But it’s nicer to take the bus (lines 52, 62 or 22) and admire the fantastic architecture along the way as you weave through some of the best neighborhoods of Paris, especially if you catch No. 52 at Place de la Concorde. Petit Bistrot d’Auteuil, formerly known as Au Clocher du Village: 8 bis, rue Verderet (across from the church). Tel. +33 (0)1-42-88-06-38. Summer terrace – traditional French cuisine. Open every day for lunch and dinner. Brasserie Auteuil: 78 rue d’Auteuil. Tel. +33 (0)1-40-71-11-90. Stylish design inside – roomy – lovely, comfortable terrace, heated in winter. Hours: every day 08:00 – 02:00. Metro Porte d’Auteuil, Bus 52. If you want to get lost in a paradise, this is the place. Louis XV ordered the creation of these vast gardens in 1761. The monumental, glass Belle-Époque hothouses were added in 1895, designed by one of Paris’s star architects, Jean-Camille Formigé. The five world-class hothouses are part of Paris’s historical monuments and are supposed to be under protection. 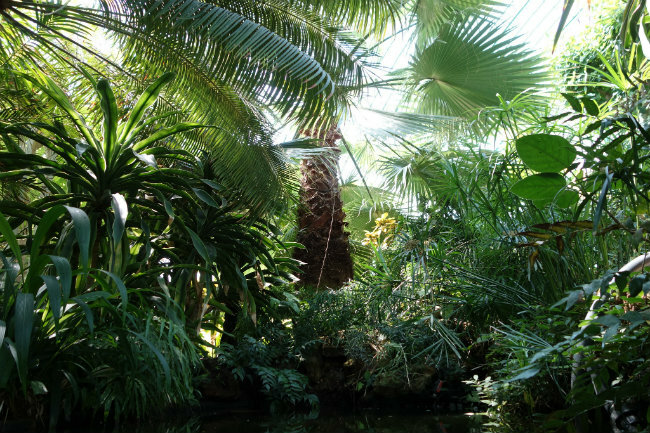 The enormously high-ceilinged glass structures host at least 100,000 different plant species from around the world, in temperature-controlled climates, from thick and lush tropical rain forests to desert wilderness. Some of the plants and trees are very rare and old. About a third of the gardens were lost (“amputated” according to environmentalists) due to the expansion of the Périphérique in 1968. Now the gardens are facing another amputation. Adjacent to the gardens is the Roland-Garros Stadium where the French Open tennis tournaments are held annually and they’ve outgrown their capacity and comfort level for players and spectators. 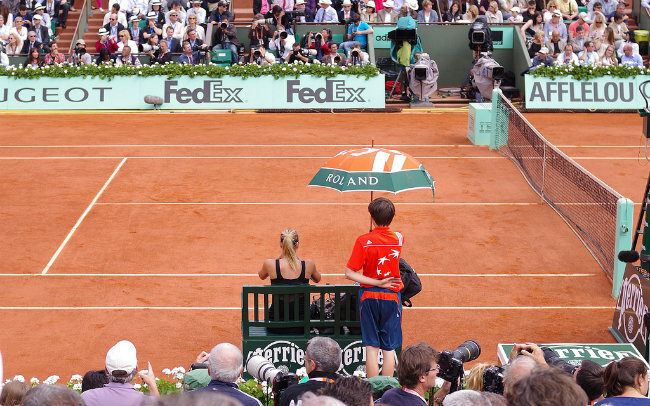 In 2011 the French Tennis Federation issued a warning that Roland-Garros Stadium needs to expand and renovate otherwise it risked losing the Grand Slam venue to another country. The expansion would mean destroying part of the gardens and hothouses and this has erupted into an all-out war. 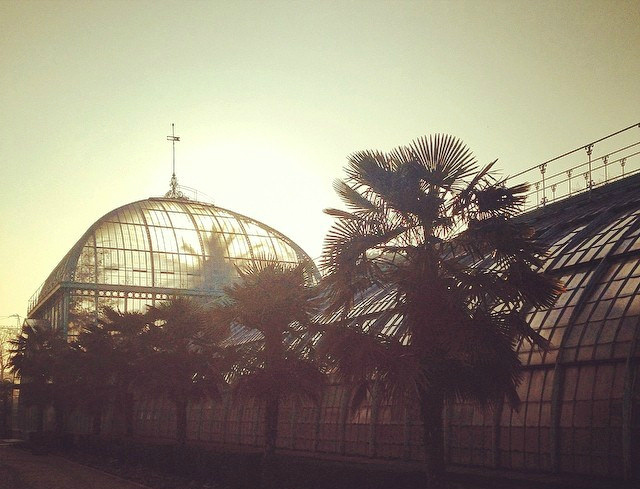 Currently plans are in the works to tear down some of the greenhouses. 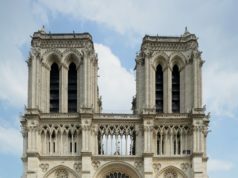 Tens of thousands of people– Parisians, global citizens, culture lovers, environmentalists– have signed petitions for the protection of this historical site. The opposition proposed two alternate plans for a new stadium at more spacious locations, but those plans have been rejected by the government. The heirs of the architect Jean-Camille Formigé have also become involved, requesting the court to issue an order to stop the expansion work citing copyright laws. On December 18, 2015, the High Court issued an interlocutory decree to suspend all construction on the expansion for a period of three months. That should bring us to about March 22, 2016…. I stayed at The Queens Hotel in this wonderful area during my last trip to France and I fell in love with it! Now if I could just find a flat on Air BNB in the neighborhood. Yes, I’m familiar with the Queens Hotel and have stayed there a couple of times from way back. That is my first choice for staying in Paris when I have to stay in a hotel. Enjoy your future visits to Auteuil! 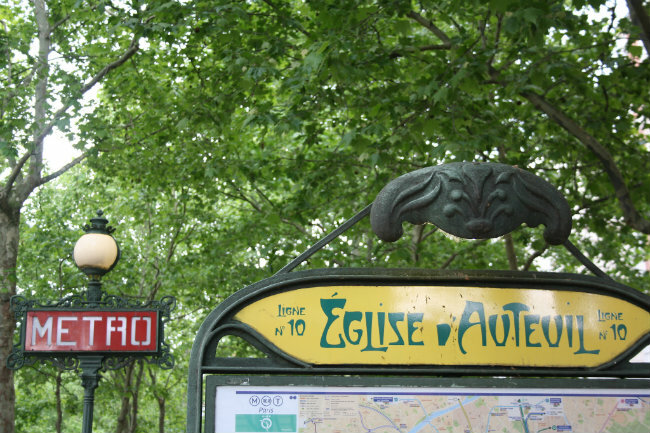 Wonderful article…if you ever edit, you might consider the addition of a paragraph about Hector Guimard as you already have a photo of his metro entrance design. He lived at 122 Avenue Mozart in a building he designed. Perhaps this is considered beyond the boundary of Auteuil; however, I lived at 114 Avenue Mozart and certainly considered Auteuil my home (as defined by the closest market). 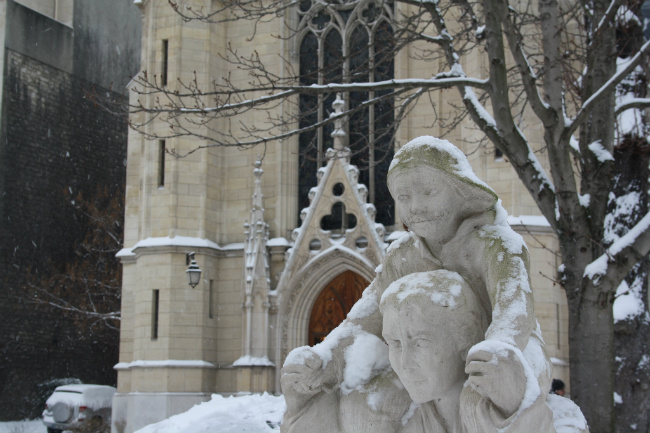 Avenue Mozart – a wonderful street! Thanks for your comment. Thanks for this fantastic story. I’ll be back in Paris in April, and I’ve put this on the top of my “Must See” list. Fascinating and juicy article Dor, I loved it. Congrats. 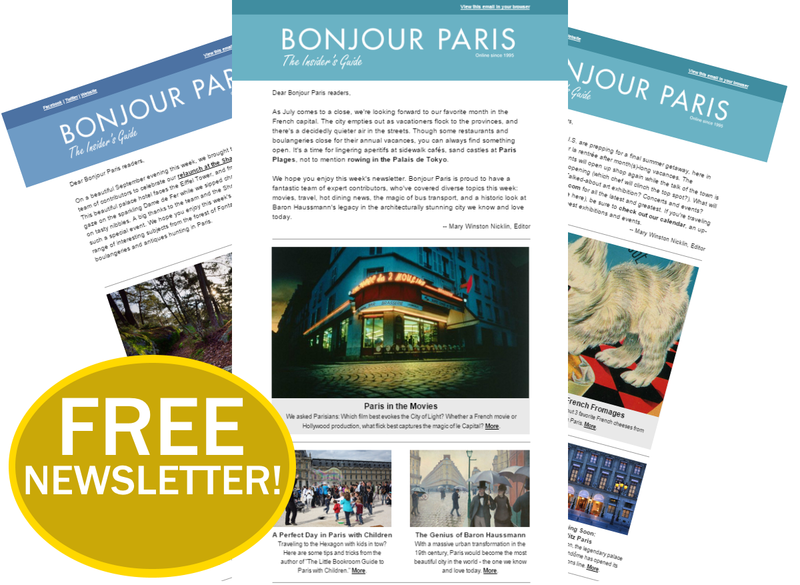 I so enjoyed your article – I will be sure to visit Auteuil on my next trip to Paris! What a fascinating post! I would have never guessed Auteuil had such a deep history… and so many intriguing residents. It’s true the area has many lovely Art Nouveau buildings, but it’s great to discover these other facets to the neighborhood as well. My maiden name is Boileau and went in search of Hameau Boileau in Auteuil during a trip to Paris with my best friend last May. Auteuil is a lovely area and I was thrilled to walk along Rue Boileau and discover many historical buildings and markers including the one about Nicolas Boileau’s home and garden. I hope to return someday to spend more time in Auteuil. Dorothy, fantastic piece — will definitely keep it and on my next excursion (perhaps September) to Paris will make it a point to investigate the area. Very, very informative and helpful. Thanks!!! I love Auteuil, and spend a morning there every time I’m in Paris. I agree with an earlier post about Hector Guimard; all but one of his Paris buildings are in the 16th, and well worth a stroll to see them. My favorite is a house he designed and build in Villa de la Reunion, a gated community off rue Chardon Lagache at the intersection of rue Jouvenet. You can see the house through the gates, and if you wait a few minutes, someone will drive in or out, opening the gates to do so; Walk in behind the car to get a good look at Guimard’s house (done this several times and never had a problem). The owner upstairs had a leak in his WC which softened up the ceiling plaster in his floor. Our huge, ceiling-mounted water heater came crashing down and landed on our toilet. It would certainly have killed anyone sitting there. Fortunately we were in the kitchen and my wife immediately turned off the gushing water. If we hadn’t been home the whole building might have come crashing down. Dorothy, thank you for the article about Auteuil my family lived in Auteuil for three generations. The apartment building shown in the picture at the entrance to Montmorency in your article was where my family lived, my grandmother and father on one floor and my great aunts on the upper floors. I stayed there frequently as a child. There still was bullet holes in the wall from the war. When my sister and I made arrangments for our mother’s funeral at the Eglise d’Auteuil several years ago they showed the church records of our family. I visited Les Serres d’Auteuil 2 years ago and was dismayed by the destruction caused for the building of the tennis courts for the expansion of Roland Garros. The whole area is lost for me anyway because of the incessant périphérique traffic noise that surrounds the Serres gardens. Wanton waste of a once beautiful spot for a sport where the courts are used only about one month every year. Money rules. Beautiful article! Was just thinking of Moliere when our bus passes bybthe Comedie Francaise last month!